APG low drag PTFE seals consist of a PTFE impregnated glass filled fabric that offers excellent protection with significant torque reduction versus standard Buna-N type seals. 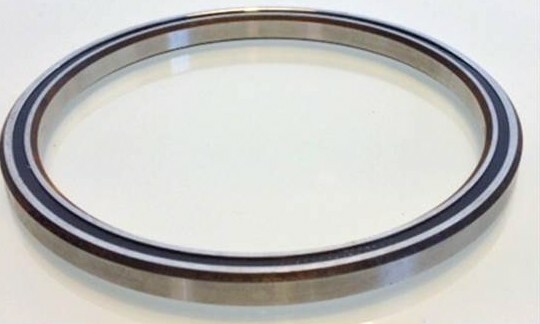 Our PTFE seals ride in seal grooves in both the inner and outer rings as opposed to land riding Buna-N seals, this allow our light contact seal to effectively keep in lubricant and keep out contaminants all with very minimal drag. We can also design in our seal to most cross sections without requiring an increase in width for the seal design. Please request additional information as needed or ask us how we can fit in our seal design to your next application.